Identity theft is known as an increasing phenomenon. That is why users need to take additional actions in order to protect their privacy and sensitive, identity-related information. Identity theft can cause serious financial, reputational damage, data exposure and other threats that everyone wants to avoid. In order to keep users privacy private, AppSields has developed Identity Theft Preventer. Why do you need Identity Theft Preventer? One in four people has experienced identity theft. In order to help users to avoid identity theft, Shield Apps developed Identity Theft Preventer. The application checks hundreds of micro-parameters on a system, trying to detect exposed information that can potentially lead to identity theft. All the data which is logged and stored by browsers, including login credentials, web-mail services, banking information, social network, health provider’s accounts, together with billing information such as credit card details, social security data, addresses and other sensitive and personal information are all detected and reported to the user as potential privacy concerns. Identity Theft Preventer also enables users to resolve these concerns with a single click. 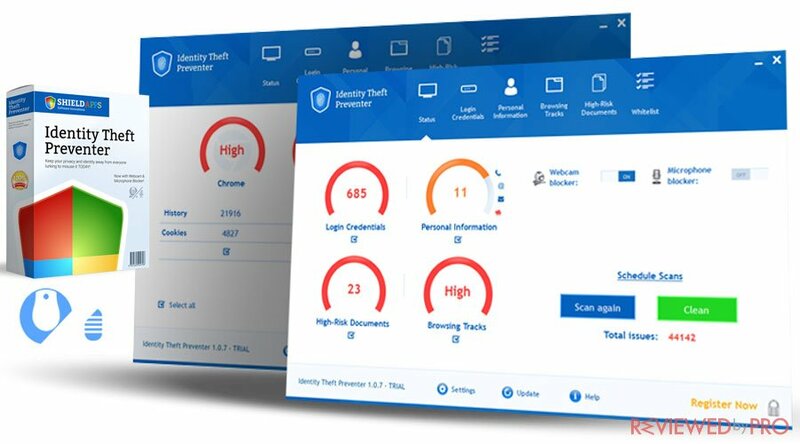 What is new, Shield Identity Theft Preventer comes together with Webcam & Microphone Blocker which blocks every unauthorized attempt to access the user’s PC webcam or microphone. The application includes an upgraded detection mechanism which is able to detect sensitive data within files and documents, such as statements, bills, and other locally stored documents. ShieldApps offers users a proactive approach to protect their identity and sensitive information. What does Identity Theft Preventer highlight? Identity Theft Preventer hides user personal information, deletes unsafe sensitive and identity-related data, takes control of user’s video and audio sharing. So users know that their identity is protected and private information remains private! Identity Theft Preventer detects and removes all traceable personal data, every digital trace from your desktop computer or laptop. As a result, by using Identity Theft Preventer users can be sure that they do not leave any digital traces behind their online activities. Identity Theft Preventer includes a webcam and microphone blocker that prevents these devices from being hacked into. The application automatically denies all external attempts to access PC camera and microphone. In addition, every abuse attempted will be tracked and reported to users. Identity Theft Preventer is able to remove all logged online browsing habits. It also proactively blocks advertising mechanism and data mining companies that attempt to track your browsing habits and behavior. What is more, Identity Theft Preventer is praised by experts and users worldwide. Identity Theft Preventer has been tested & recommended by experts to protect your digital privacy & locally stored personal information from external/foreign abuse. By using Identity Theft Preventer, users can be sure that their private data is secured and protected. Check out the list of features that Identity Theft Preventer offers. Identity Theft Prevented has over 162,000 users across the globe and the number is constantly growing because it offers the protection users can rely on. What does Identity Theft Preventer feature? Identity Theft Preventer monitors and protects your computer 24/7. It looks for malicious and suspicious activities, as well as unauthorized access attempts, and notifies, removes or blocks them in real time. This way Identity Theft Preventer provides users with advanced real-time protection. Identity Theft Preventer provides advanced protection against identity theft. It reveals where all your private information, including phone numbers, email, physical addresses, credit card details are logged on the system. The application then helps to remove this information, ensuring the complete protection. Identity Theft Preventer also deep scans the system and looks for traceable login credentials to websites, portals and service providers. Then, the application removes these traces at user discretion. Consumers should be aware that hackers are able to access PC cameras and microphones by using scripts and codes. This way cybercriminals can get valuable private information and record user exposed location/sound without their knowledge. In order to ensure complete privacy, Identity Theft Preventer detects and blocks any unauthorized attempts to access web cameras and microphones. Identity Theft Preventer detects any local files and documents that contain sensitive and identity-related information, including social security information, financial details, bank accounts, credit card credentials and more. The application notifies users about the detections and enables them to choose if they want to remove them or store in a more secure place. 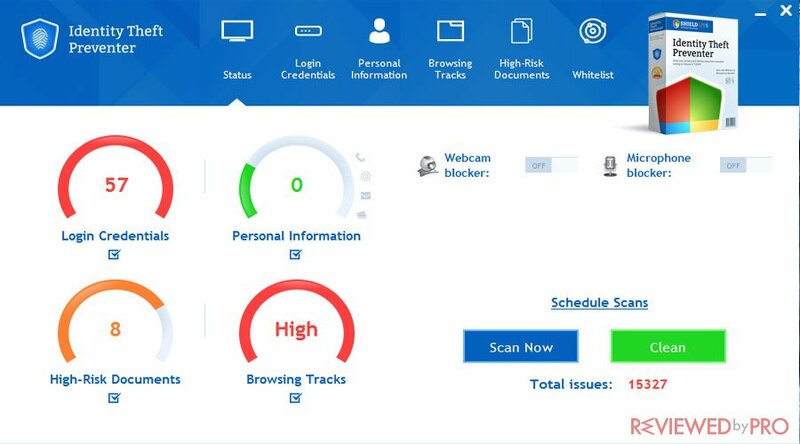 Identity Theft Preventer provides users with deep and detailed scans that detect and removes user browsing activity logs. After a scan, users are provided with the detailed report of found tracks. In addition, users are able to decide which information can be left untouched, and which should be removed completely. Identity Theft Preventer provides users with a scheduler that enables them to set scans automatically via set-and-forget setting. It ensures the proactive protection of the system at all times. ShieldApps offers users to try Identity Theft Preventer completely for free. In addition to the free trial, users also can scan their computers for exposed information for free. ShieldApps provides users with award-winning privacy enhancement algorithms. Identity Theft Preventer is compatible with the Windows operating system, including Windows Vista, Windows 7, Windows 8, Windows 10. The company ShieldApps offers its customers friendly products with professional grade security and privacy engines. ShieldApps is international cybersecurity software development company that is focused on individual customers and their computer and laptop security, privacy and performance. In addition, the company also provides security and optimization products and services for business users. ShieldApps has established a spotless reputation within the IT industry by supplying national and international companies. The company also provides mobile security and optimization applications for Android devices. The company operates the software development and reselling markets for more than ten years, and provides time-tested, advanced products and services that ensure users security, privacy, and smooth experience. ^ Identity Theft Preventer. 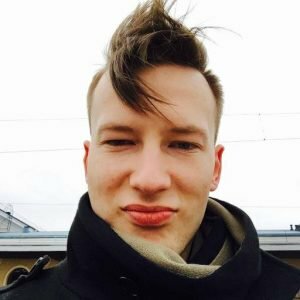 ShieldApps. This entry was posted on 2018-02-19 at 07:33 and is filed under News.